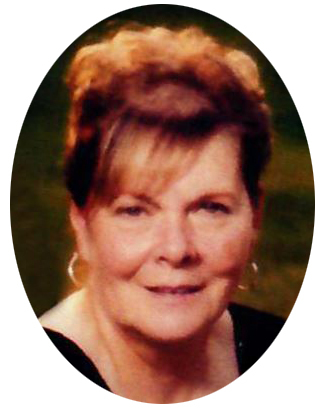 It is with sadness the family of Sharon Dianne Patenaude announce her passing on November 21, 2018 at the Royal University Hospital at the age of 72 years. Sharon is survived by her loving husband George Patenaude of 52 years; eight children Michelle (Ken) Deibert, Kevin (Kari) Patenaude, Stacey (Larry) Patenaude, Shawn (Kristy) Patenaude, Craig Patenaude, Treena (Chad) Miller, Dee-Anne (Lee) Armstrong and Shane Patenaude; grandchildren Kyla, Kelan (Ashley), Karley, Quinn, Ben, Kate, Kevin, Preston, Alecia, Danika, Ella, Baron, Avory, Archer and Ryder; great-grandchildren Logan and Lux; siblings Chris (Sonja) Olson, Glen (Joan) Olson and Valerie (Todd) McGregor and special friends Mary and Gwen. She was predeceased by her parents Tom and Mary (née Fines) Olson, mother-in-law Helen Fountain, grandson Connel and great-grandson Jaxon. Sharon was a pillar of strength that could hold up a world from crashing; she was generous and selfless, so much that she would give her last dollar or breath to someone in need; she was patient and understanding and could calm the worst storm; she was so nurturing that mother nature herself was jealous; she was so beautiful that when she gazed at the setting sun, it gazed back in awe; she was so loyal and devoted that the biggest mountain couldn’t hold her back. She was a cherished wife, mother, grandmother, great-grandmother, sister and friend and her loss will leave an unfillable void in the lives of those who loved and knew her. The Mass of Christian Burial was celebrated on Friday, November 23, 2018 at 10:30 a.m. at St. Theresa's Parish, Rosetown, SK with Reverend Father John Abban Bonsu as celebrant. Donations in memory of Sharon may be made to the Pancreatic Cancer Canada Foundation, Suite 508, 36 Eglinton Avenue West. Toronto, ON, M4R 1A1.